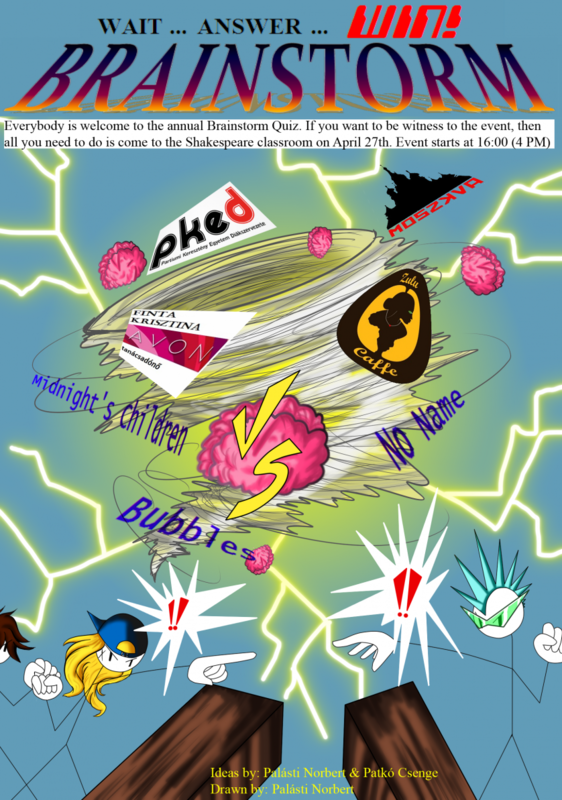 We are glad to announce that the English Department of the Partium Christian University will organize the second edition of the Brainstorm Quiz On 27 April 2012, 4 p.m. 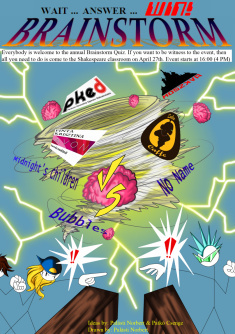 The BrainStorm is a competition that comprises teams of minimum three, maximum six students from each year of the Partium Christian University English Majors. Thus each team is made up of freshman, sophomore, and senior students. The multiple choice quiz questions will be on general knowledge, regarding the subjects taught in the English Department’s curriculum (English language and linguistics, British and American Literature, History, Culture, Film, etc.). All teams will be offered prizes and diplomas for their participation in the competition. Welcome to and enjoy our contest!